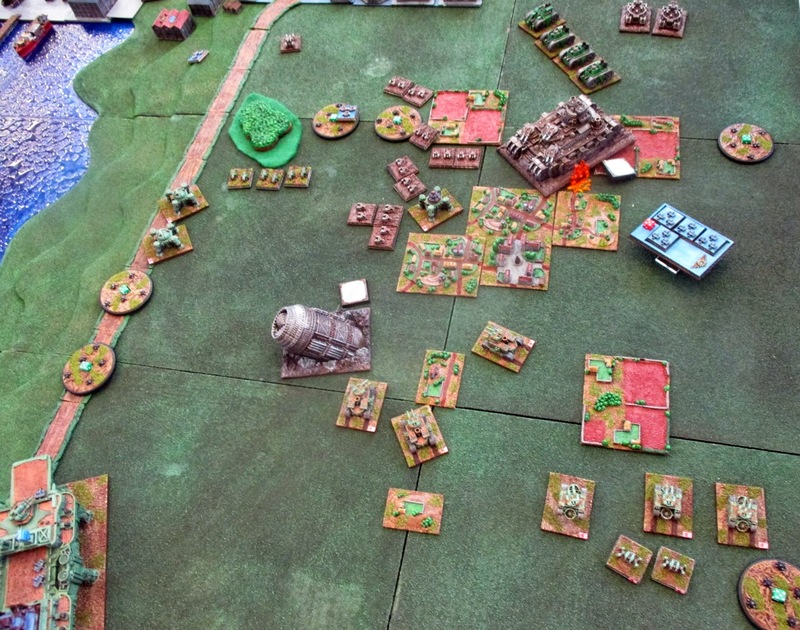 The loss of so many heavy vehicles has dented the confidence of the Russian armoured forces, but they fight on relentlessly, small tanks swarming forward firing at the Blazing Sun Heavy Walkers until both of the Taka-Ashi collapse to the ground, torn apart by Russian shells. In response the Myobu Sky Fortress and Blazing Sun bunker complex destroy the advancing Mishkin Tank Destroyers, and pick off the remaining Poltava Light Tanks. The plain beyond the city is littered with the smoking wrecks of armoured vehicles, but neither side has managed to make a significant advance. After hours of intense fighting the land objectives remain secure in the hands of their original owners. In Golden Horn bay there is no such bloody stalemate. Both fleets manoeuvre at close quarters, raking their enemies with withering fire. While much of the fighting is increasingly hand-to-hand as desperate boarding actions are fought and repelled. Hordes of conscripts from the crippled Jian Battleship manage to overwhelm and seize the Dudinka Assault Carrier, however, only moments later the enormous drill of the Khatanga Heavy Battleship strikes the Chinese battleship for a second time and sends the mighty ship into the deep. 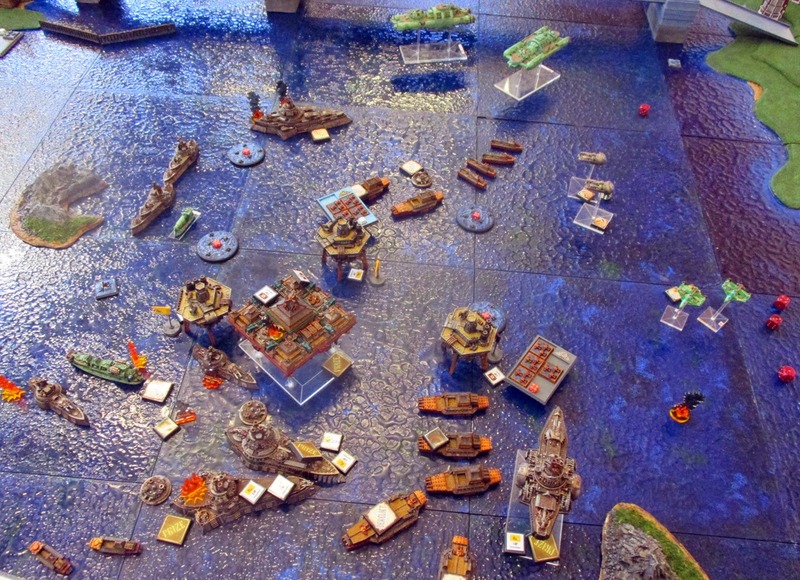 Moments later marines from the Heavy Battleship overpower the depleted crew of the mighty Zhamadao Dreadnought, and much to the dismay of the Chinese fleet, prize the immense vessel. 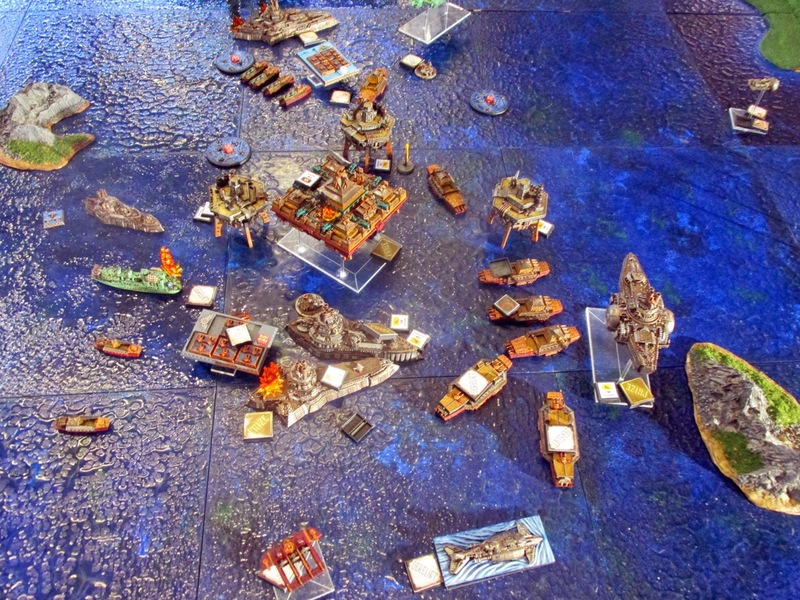 In response a squadron of Dao Cruisers now launch a furious boarding action against the Tunguska Skyship, the sheer weight of their numbers defeating the shimmering distortion of the phase generator, prizing the undamaged skyship, while more conscripts overpower and prize the Russian heavy battleship in bitter close-quarters combat, capturing the Russian Admiral. As the bitter fighting finally dies down, both Admiral Konstantinovic and General Zeng have been captured by opposing boarding parties and tense negotiations begin in order to secure their release. Two of the oil platforms are held by the Chinese Federation, while the Russian Coalition holds one. 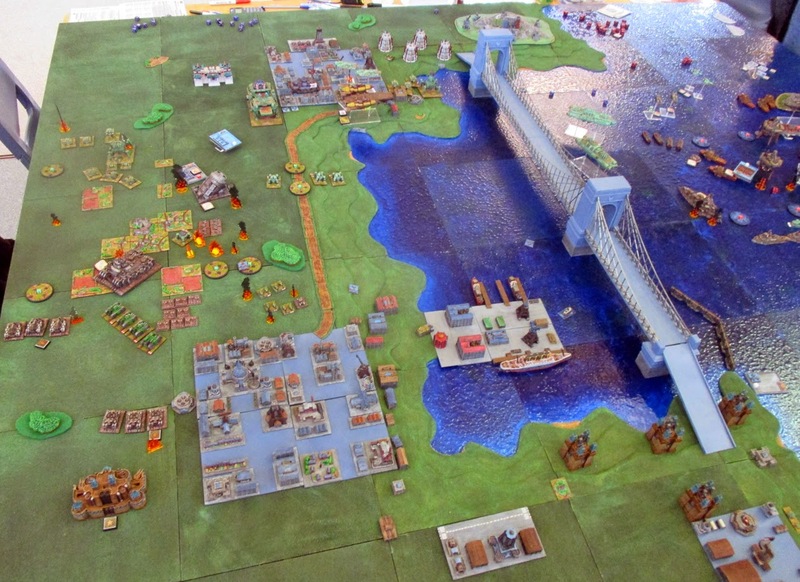 Authors Note: At the end of the fourth and final turn, the Imperial Bond score 10 Campaign Points (4 from objectives, 5 from scrapyard Victory Points and 1 from capturing an enemy Commodore). 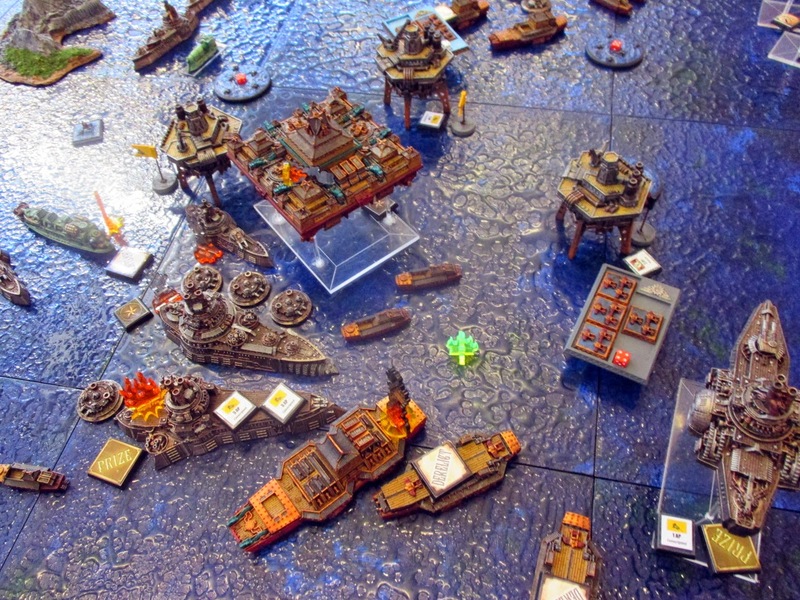 The Grand Coalition also score 10 Campaign Points (3 from objectives, 6 from scrapyard Victory Points and 1 from capturing an enemy Commodore). When added to the points from the first, second and third turns, the final scores are 36 points for the Imperial Bond and 30 for the Grand Coalition, meaning the forces of the Imperial Bond secure a narrow victory.